We felt very privileged to be a part of the UKLA Book Awards last year. Mrs Jones and Mrs Kydd were on a panel of judges making decisions about the very prestigious award. This involved reading 20 books, discussing them with other members of the panel and creating a shortlist. Classes across the school completed work on the books and you can view all their work under our Curriculum pages. We were elated when we were selected to showcase this work in a film that was shown at the final award ceremony on Friday 8th July – it was wonderful to celebrate their work in this way. We use quality literature in many ways in school to stimulate and inspire the children and we were delighted to have had the opportunity to read and share some of the material which was published. Class 9 were very lucky to have Mrs Steel working with them one afternoon a week through Term 5. 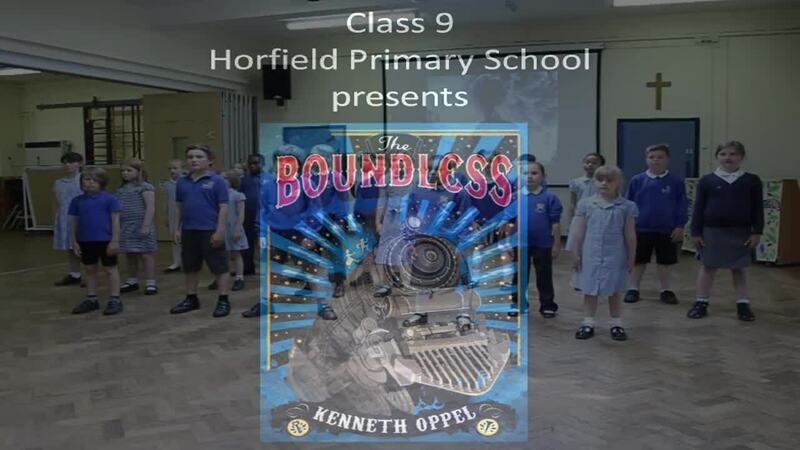 They studied the book "The Boundless" and then performed a choral version for UKLA when they came into school to visit us and film around the school.